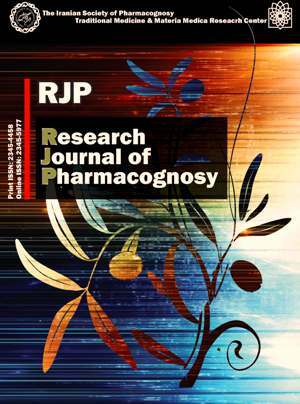 Research Journal of Pharmacognosy (RJP) is a peer-reviewed Open Access publication of the Iranian Society of Pharmacognosy in collaboration with the Traditional Medicine and Materia Medica Research Center (TMRC). RJP welcomes manuscripts covering all natural products related areas. Authors who are interested in natural products research are invited to submit their manuscripts, join us in the review process or share their ideas in the field of natural products. Submitted manuscripts will be checked for plagiarism by Plagscan.